Kindergarten practicing the dribbling technique. 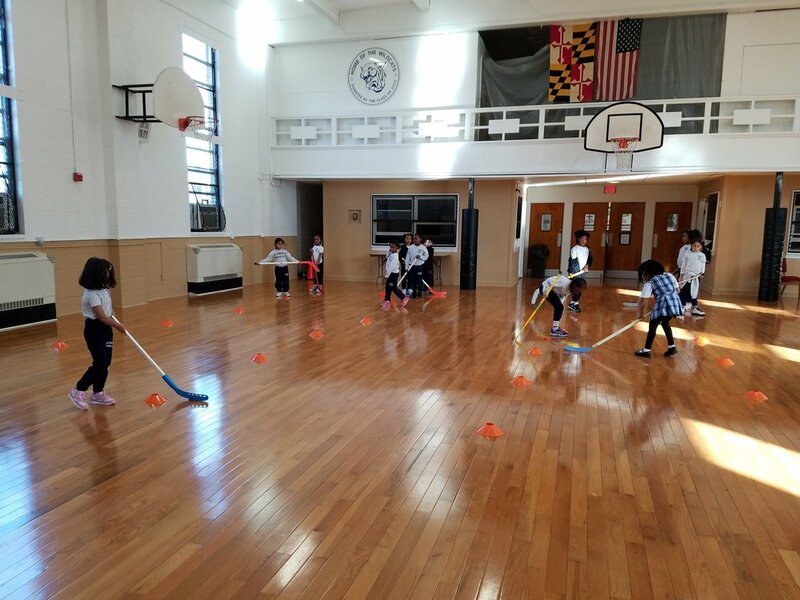 Pre-Kindergarten learning the proper way to hold a hockey stick and the dribbling technique. Second Grade practicing their hockey dribbling skills.